Sweet. 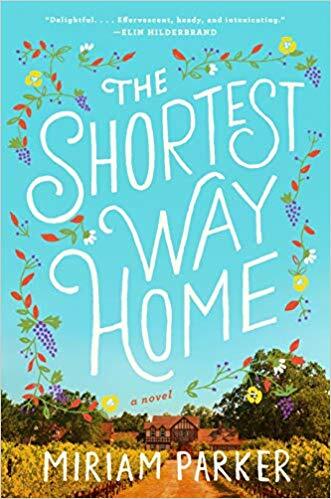 The protagonist of Miriam Parker’s debut novel titled, The Shortest Way Home, is ready to complete her MBA in California and move to New York to take a great job for which she beat many worthy competitors. While Hannah is spending a weekend in Sonoma a new dream displaces the old one. Most young adults veer a bit on the path to finding one’s place in the world. Hannah pulls a full about face. However improbable her story, Hannah is a sweet character and Parker encourages readers to laugh with the consequences of Hannah’s actions and root for her dream to come true. Rating: Three-star (It’s ok) Click here to purchase The Shortest Way Home from amazon.com.